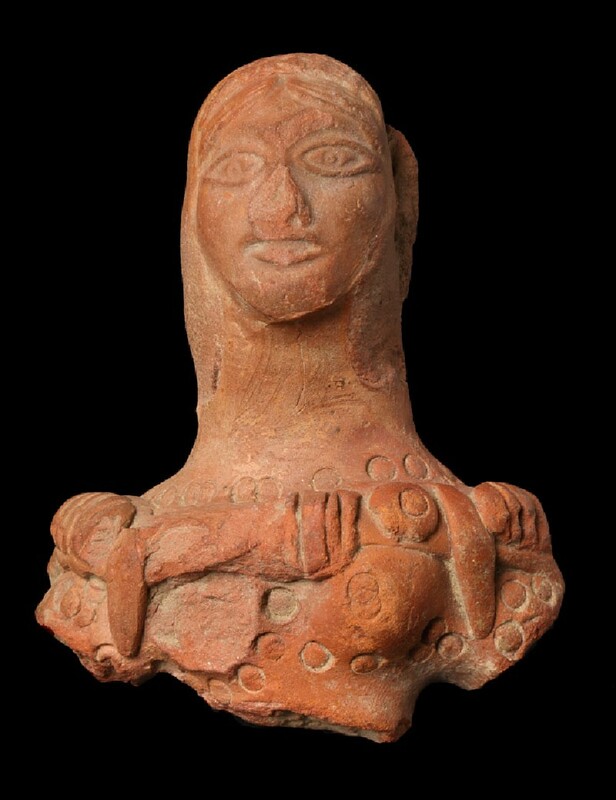 Terracotta of this type, of a characteristic grey colour, have been found in great numbers at Mathura and its environs, though complete figures are very rare. The grey colour is due to a particular firing technique, not to the clay from which they are made: [EAX.196]), for instance, is the usual terracotta colour. The major excavations of the 1960s and 70s at Sonkh, near Mathura, conducted jointly by Professor Härtel for the Free University of Berlin and the Archaeological Survey of India, uncovered a number of these terracotta figures or heads in scientifically determined strata, resulting in a firm dating of c.200 B.C. 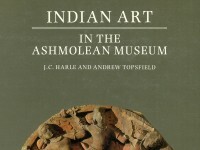 In a technique, these figurines represent a half-way stage between the entirely hand-modelled type, with appliqué decoration seen in [EA1958.3], and the entirely moulded form of [EAX.201]. Here only the face and hair are from a mould. These little terracottas have been widely assumed to be mother goddesses; the presence of what are almost certainly male heads in this group challenges this rather simplistic identification. The male heads are recognisable by portions of turban (?) and a different treatment of the hair.